By mid-70's Cliff Fortney had left Happy The Man because of his stagefright and technical inability and he was replaced by singer Dan Owen, while flute parts were handled by Kit Watkins.Owen spent about 8 months with the band and during his time the ''Death's Crown'' suite was recorded in the band's rehearsal room.After Owen quit in 1975, the rest of the crew decided to move on as a quintet.Happy The Man attracted the interest of Peter Gabriel, who was searching for a backing group after his departure from Genesis and, although this collaboration did not work, this was enough to increase Happy The Man's popularity.They were eventually signed by Arista in a 5-year recording deal and recorded their debut at A&M Studios towards the end of 1976, supported by the production value of Ken Scott, who had worked with The Mahavishnu Orchestra, Supertramp and David Bowie.In 1977 the official debut of Happy The Man sees the light. ''Happy the Man'' was there to unite two different worlds.The one was the complex and intricate Progressive Rock of early 70's with GENTLE GIANT and VAN DER GRAAF GENERATOR references, a style totally out of fashion around the time.The other was a style by a Prog band heading to the next decade, smoother, more melodic and atmospheric, with pronounced use of synthesizers and elegant passages, which however contained lots of adventurous themes.The most surprising thing about the group was their ability to follow dense, virtuosic interplays with more delicate, harmonic passages in a very tight combination, revealing tons of composing talent.Their style included influences from Jazz and Fusion, dominated by Frank Wyatt's incredible sax work, the quirky keyboard parts of both Wyatt and Watkins and the consistent rhythm section of Beck and Kennell.They did have also a strong Classical character at moments with piano interludes and symphonic keyboards in the forefront, building structures for the upcoming rich instrumental lines.Happy The Man's introduction was music with unexpected twists, amazing interactions between the instrumentalists, powerful breaks and romantic soundscapes with mellow keyboards.The result is often astonishing with GENTLE GIANT being the main influence minus the Medieval vibes, a beautiful surprise in a scene that was fading around the time. 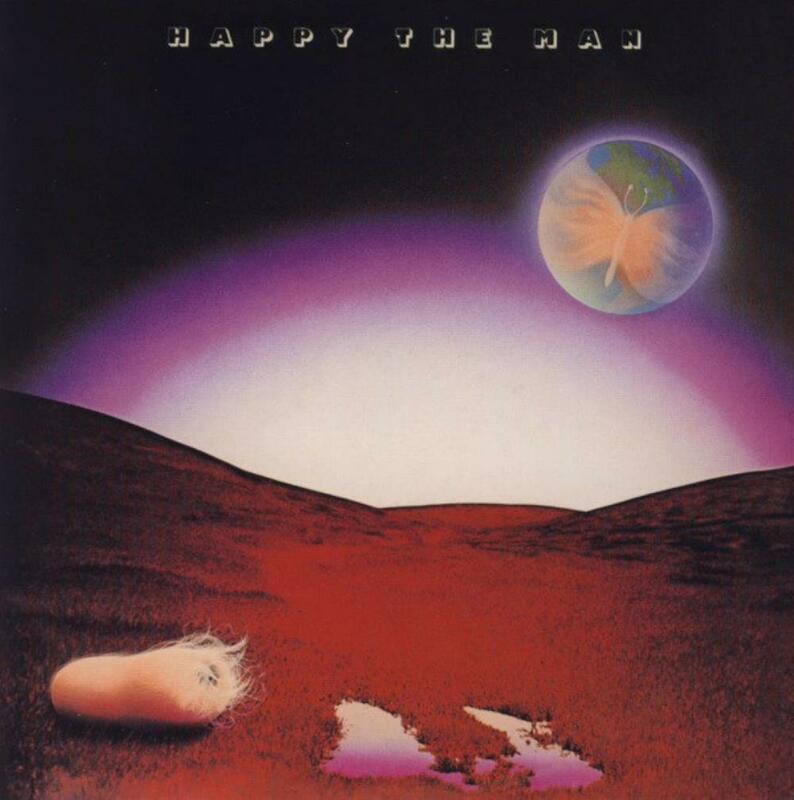 The early rehearsals of Happy The Man eventually developed into a fascinating, bombastic listening experience with a fresh attitude.Consistent Symphonic/Jazz Rock with both fiery and calm instrumental material, really a pure delight.Absolutely recommended.